Every other blogger has written about it, now its my turn. I have to say I really liked Gravity. I believe it is my personal favourite film of the year so far. 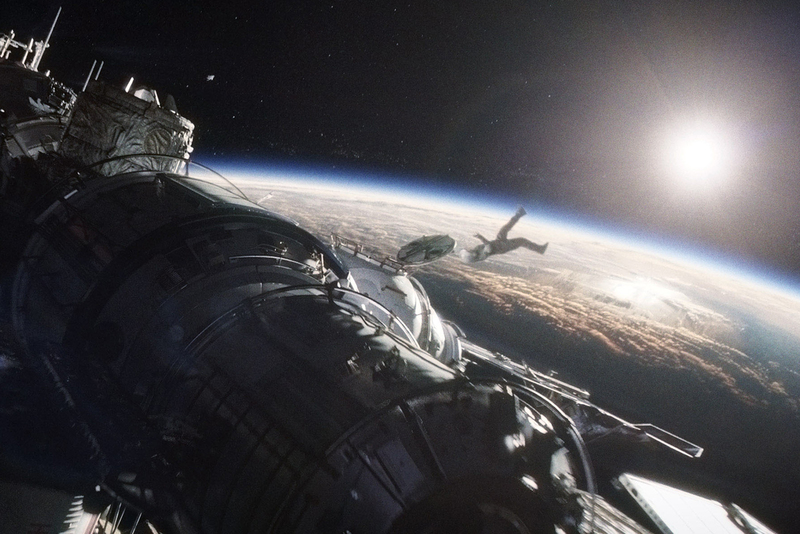 Cuaron and his team create a magnificent but also horrifying image of space. That on one hand gives space a very tranquil and beautiful feeling. It is all the space you could ever need with no humans getting in your way. A world that is a million miles away from the crowded morning commute for most people. Not only that but it is filled with beautiful scenes of the Earth, the Sun and other distant stars, all floating around however they choose not needing the laws of gravity to hold them back. On the other hand we witness one of the scariest places we could ever imagine to find ourselves, filled with such a dark empty coldness that it is unrecognisable to us humans. Gravity shows how space can be both of these things at once. In a way it is good to have some “space” from other human beings, but too much of it can lead to emptiness and extreme loneliness once you float off on your own. I will start with the bad news, of which there is very little. 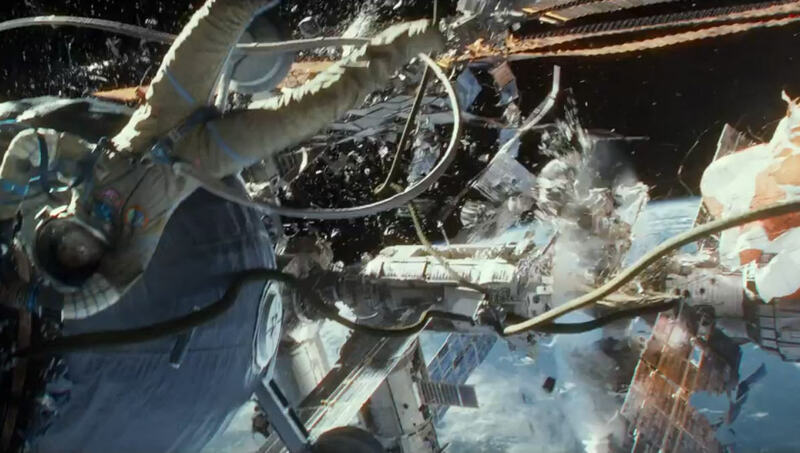 Ultimately what will happen sometimes with a film such as Gravity, is that character and story development will be disregarded in place of technical amazement. This did not happen so much with Gravity but I must admit that in some important character moments of the film I found myself more interested in how great the visuals would be when big moments happened rather than whether the characters were in danger. There are some smart attempts to introduce personal back stories which I did appreciate. However when it really matters I do not think these attempts stick so well. That being said, the characters are interesting and developed enough to want to go on this journey with them and see it through till the end. As far as what I enjoyed about the film, the main thing was obviously its photography. 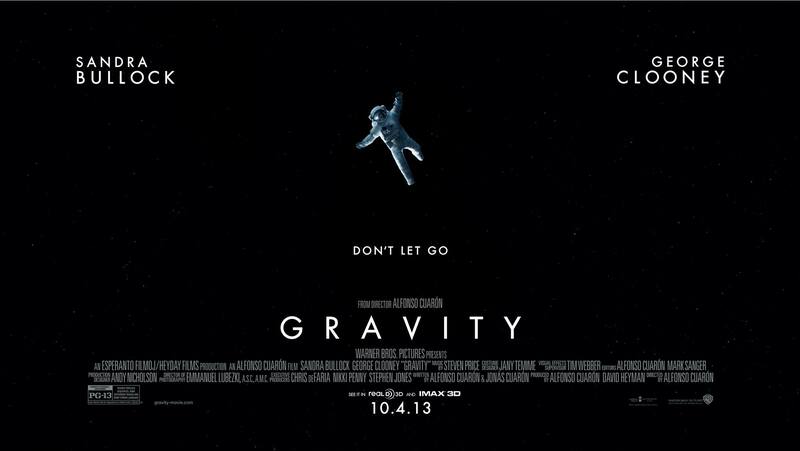 Never before have I felt like floating off into the air in a cinema screening, but the photography work in Gravity is so convincing and free flowing that it is very hard not to feel dizzy at the sight of its imagery. There is no up or down, no high or low, only space, and a lot of it. One of the background commentaries that I felt while watching Gravity (and not a lot of people have brought this up) is the way us humans need the earth and are only possible because of it. In Gravity the earth is always there, shining like a huge ball of hope in an otherwise dead and cold infinity. We begin to see how life and evolution would just not be possible without it. There would be no heat, no food, no breathing, but as well no control of our own bodies. Ironically space could be seen as a freeing from the frustrations of human life, when in reality (like the films characters) floating with no control of even your body is one of the least freeing things we could imagine. 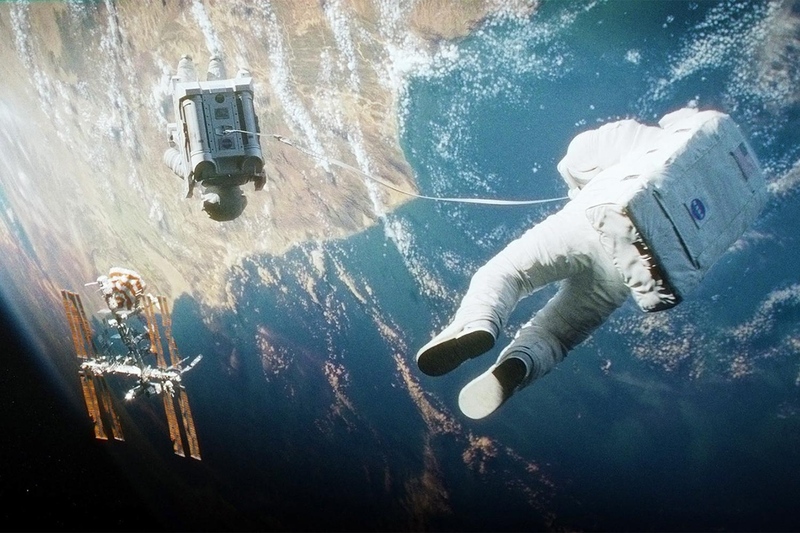 Gravity is more gripping in its narrative than most critics are giving it credit for. There is a human story and some genuine personal emotion, but in the end I believe Gravity is more about space itself and how humans can and are reacting with it. I also think Gravity has much to say about our animalistic need for the earth and all it provides for us. We truly could not live without it, not out there in that empty mass of nothingness anyway. Really loved your post. You have put in words exactly how I felt about the movie. Thanks ! Thank you very much. That is great. Nice. I loved the film as well. Even overlooked all of the “illogical” and “impossible” scenarios. It was like buckling up for the most thrilling ride at the amusement park. Great movie and great post. Thanks! This was my favourite film of the year too. I hadn’t been so excited for a movie in 12 years, and I was not disappointed. Just breathtaking. You’re quite right in your post in that you make a good point that I don’t think I’ve seen anywhere else – the ever-present Earth. 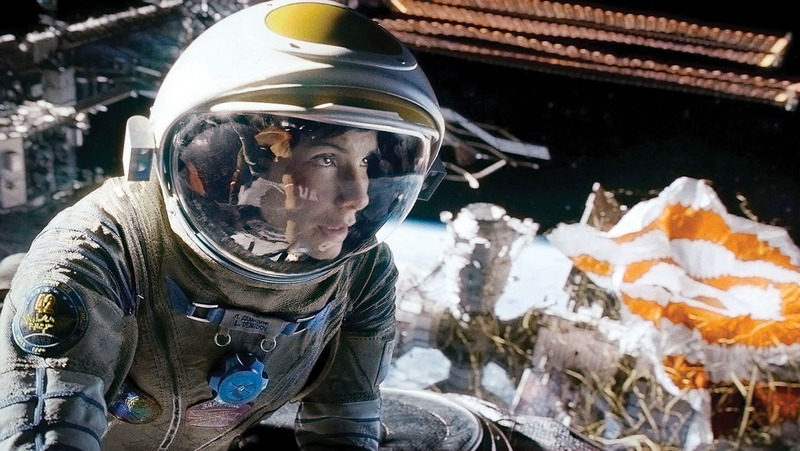 While the camera never really leaves Sandra Bullock, the Earth is always there too. Comforting, but just out of reach. Always in the frame – tethering us, and her, to reality amid the vastness of the void. Beautiful. Great post! Thanks for an excellent review of “Gravity”. I thoroughly enjoyed seeing this film at the cinema in 3-D. Even so, your review brought forth some of the feelings I just couldn’t put into words. I myself am a lover of films, and I’m glad I found your blog. I’m looking forward to exploring more of your reviews.